A sideswipe accident occurs when two vehicles which are running on the same side in the same direction and the right side of one vehicle comes in contact with the left side of the other vehicle resulting to a collision. Driver failing to check if there is another vehicle coming in the same direction before taking a turn. 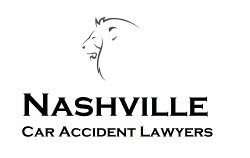 Whenever you find yourself in a sideswipe accident in Nashville, the next actions that need to be taken are very crucial to the welfare of both driver and passenger. This kind of car accident can lead to serious injury and sometimes death, so it is very crucial that you know what to do when a sideswipe accident happens. Firstly, remaining calm and aware the whole time if possible after the accident is very important. Do not quickly try to change position, but assess the situation you are in, whether you or the person you are with are injured, and most importantly, try to ascertain the extent of the injury. Secondly, call 911 or ask for help from people nearby. This way, you will have your injuries attended to and you will be administered first aid as needed. You never know how much damage the collision has caused you and other passengers. It is better to be safe than sorry. Thirdly, never agree to not call the police officer. It is imperative that you have a police enforcer have a report made no matter what arrangements the driver who hit you wanted to have. Some drivers are not honest and will make empty promises just to get away with the responsibility, so this way, you will know if they are telling the truth and you are backed up with police reports. Fourthly, take whatever photos you can get from the scene. Accident reconstructionists have their way of determining whose fault the accident is by looking at the photos, the debris and damage to the roadway the accident has resulted to. You can also sometimes tell basing on the photos of the vehicular damage, what the direction of the impact is. This may likely prove who changed into whose lane and prove whose fault the sideswipe accident was. Lastly, calling a Nashville car accident lawyer right away could help save you the headache from the tedious process of legal settlements to claiming the driver’s insurance (that is, the one who hit you) payment for the damages they had caused your car or truck. Expert car accident lawyers could also assist you get additional statements and evidences to help strengthen your case.